While we were pleased to hear of Prime Minister Zeidan's release, the United States condemns the events of the last twenty four hours that captured the attention of the world. Libyans did not risk their lives in their 2011 revolution to tolerate a return to thuggery. If a free people are going to succeed in forging a democratic, secure, and prosperous country with a government based on the rule of law and respect for human rights, then there can be no place for this kind of violence in the new Libya. 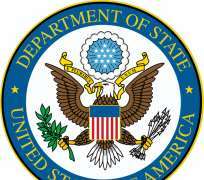 The United States will continue to work with the Libyan government to build its capacity to deliver security and good governance to its people. In fact, today's events only underscore the need to work with Prime Minister Zeidan and with all of Libya's friends and allies to help bolster its capacity with greater speed and greater success.